Travel theme: Inviting | Oh, the Places We See . . . 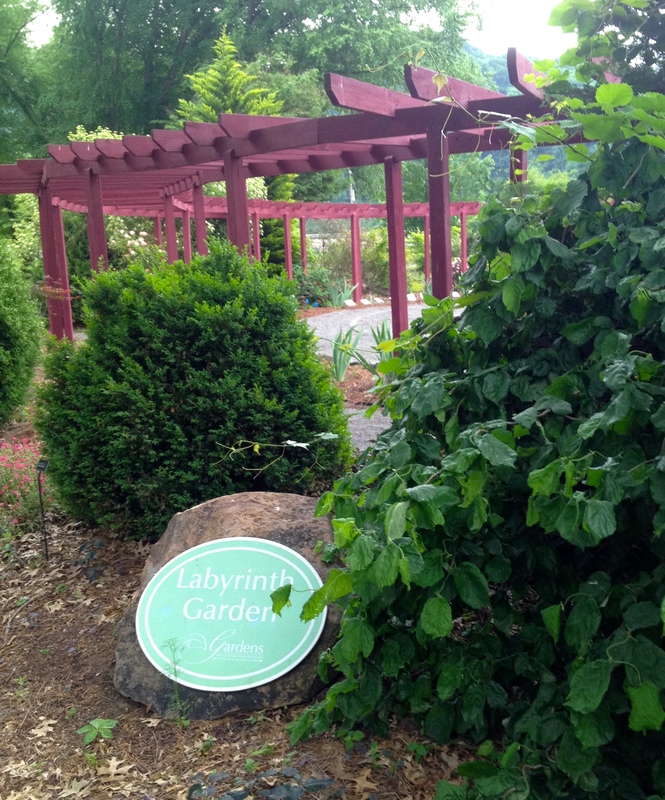 Newly opened Labyrinth Gardens at the University of Tennessee, Knoxville. UT Gardens beckons travelers along Neyland Drive in Knoxville, Tennessee, to drive onto campus, pause, sit a spell, and reflect. The never-static gardens reveal colors of the seasons which means the pinks and rosy reds of spring give way to the brighter yellows of summer and then fade to the muted tones of fall grasses, mums, and ornamental cabbages. Something new and inviting has recently been installed. It has become a place where those who enter the campus garden can do more than merely sit and reflect. 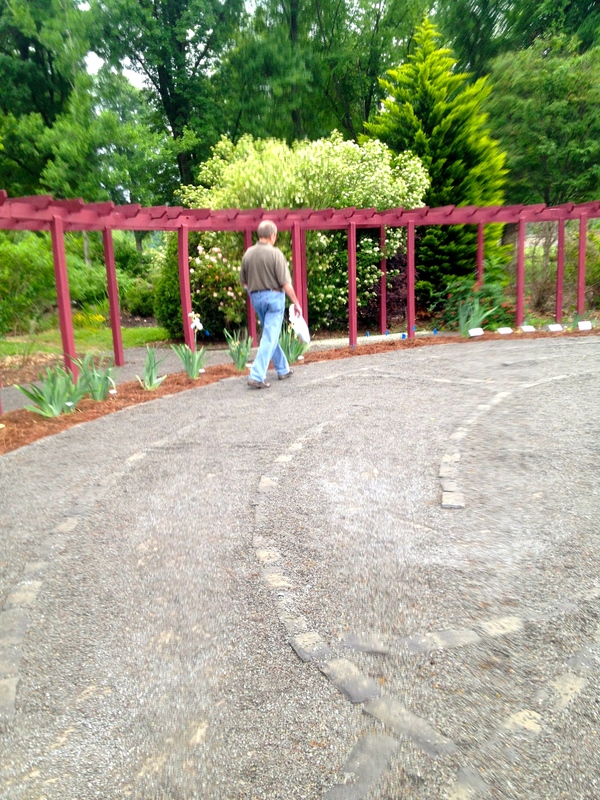 Labyrinth Gardens, a carefully planned circular area of soft gray pea gravel and smooth stones bordered by irises, summons visitors to walk the walk while considering whatever is on their mind. Labyrinth Gardens — an inviting place of calm amid a busy university campus. To see more examples of what’s inviting, head to Ailsa’s blog, Where’s My Backpack and see what’s been posted. After all, you’re invited! This entry was posted in Photography, Tennessee, Travel Theme and tagged inviting, Knoxville, labyrinth, Labyrinth Gardens, Tennessee, UT Gardens. Bookmark the permalink. Wow! It’s a small world. Come on back for a visit — we have a couple of bedrooms to spare! Beautiful, inviting garden. I’d like to visit the garden. Lovely photos, Rusha! It’s a special place on such a busy university campus. I wonder how many people escape to the labyrinth just to walk and reflect! Thanks for reading.